At the License Agreement step of the wizard, you must accept the license agreement for Veeam and 3rd party components that Veeam incorporates. If you do not accept the license agreement, you will not be able to pass to next step of the setup wizard. To view the license agreement for 3rd party components, click View. 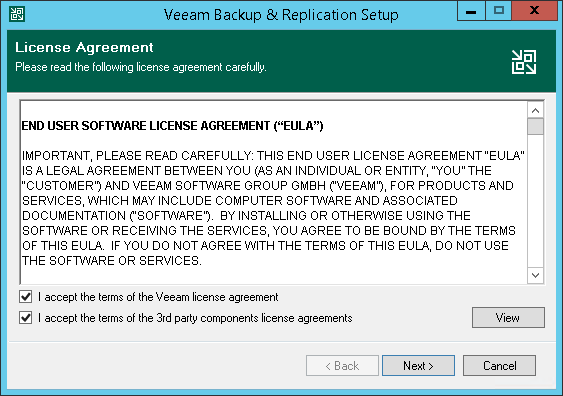 Select the I accept the terms of the Veeam license agreement check box. Select the I accept the terms of the 3rd party components license agreement check box.